While one of his sons is busy modelling Blur T-shirts, Liam Gallagher's other son Gene has started up a rock band of his own. 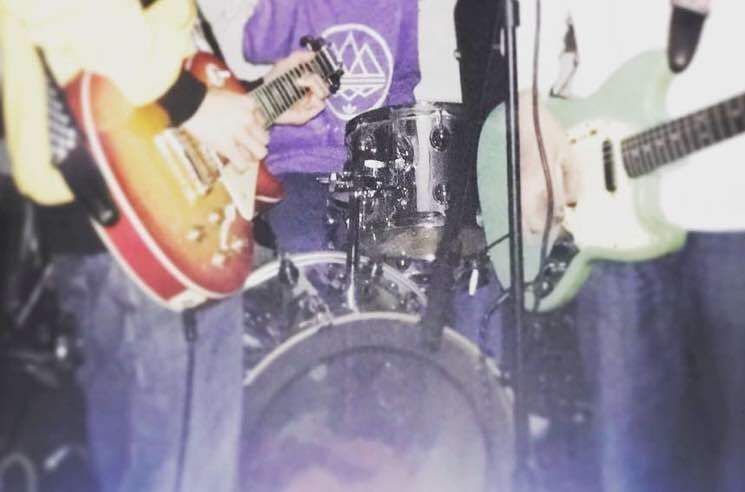 As NME points out, the younger Gallagher brother's younger son has launched a band called Grimmo. He fronts the band, singing and playing guitar, and is joined by pals Cody Grimaldi on guitar and Alf Carroll on drums. They made their debut with a photo on Instagram. Appearing on Mike Skinner's In the Third Person back in April, Liam talked about his son going into the music business. He revealed that Gene used to be a big fan of Arctic Monkeys, but that he's since veered towards grime artists like J Hus. "It'll be interesting to hear his mix and how he brings all this grime stuff into his version of rock'n'roll, or guitar music, or whatever it is," he told the podcast. "You sort of throw everything in the pot and see what comes out." The three-piece have yet to unveil any full recordings, but you can see footage of Carroll and Grimaldi jamming earlier this year below.